The F word. Probably one of my favourite words of the English language. And science says that it's completely cathartic to use it at work. My policy is "swear, just not in front of clients". 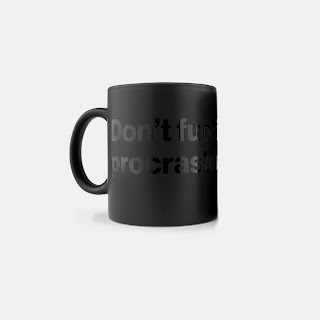 Which is why I am completely in love with these office supplies peppered with F-bombs. 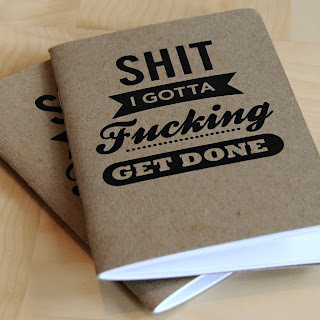 I can think of a few co-workers who would enjoy these, although I wonder if any of us would be ballsy enough to show up at exec-filled meetings with the notebooks. All items are available for sale at reasonable prices on The Awesomer. 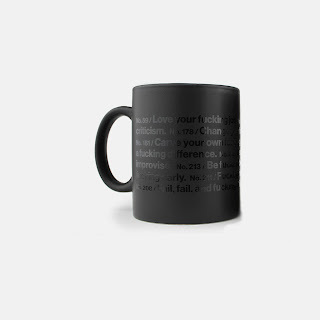 Click on the images to access the store. No. 59 / Love your f*cking job. No. 194 / Seek f*cking criticism. No. 178 / Change your f*cking routine. No. 181 / Carve your own f*cking path. No. 168 / Make a f*cking difference. No. 212 / Learn to f*cking improvise. No. 213 / Be f*cking bold. No. 170 / Get up f*cking early. No. 211 / F*cking risk everything. No. 208 / Fail, fail, and f*cking fail again.